4th Graders Salute Army Veteran Harland Heckadon - Thank You Veterans! 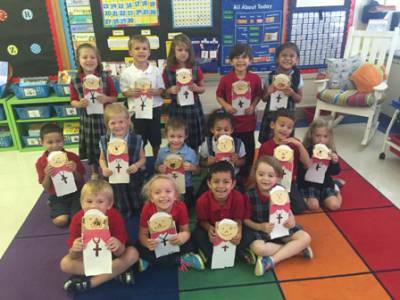 At St. Paul, we are committed to providing a truly Christ-centered experience for your child. We believe that all things begin and end with Christ. 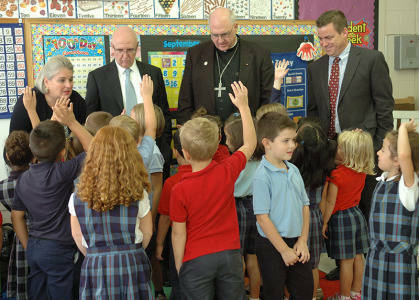 Teachers ensure that our Catholic faith is infused into lesson plans that engage and inspire each child. 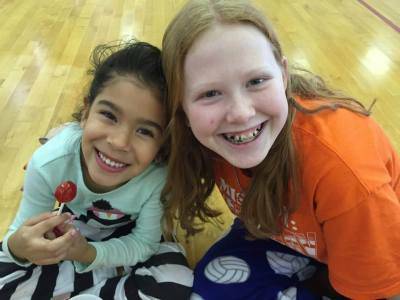 Come be a part of this incredible community! 81% of students who graduate from Catholic schools attend college, compared to 44% of students in other schools. Students who attend Catholic schools are more likely to attend church and remain active Catholics as adults. The gifts of Catholic schools are not limited to those who attend them; they are a blessing to our nation, forming active and self-giving citizens, while lowering costs for other schools.